LOCATION, LOCATION, LOCATION!!!! Looking for the perfect vacation rental? This house has it all. 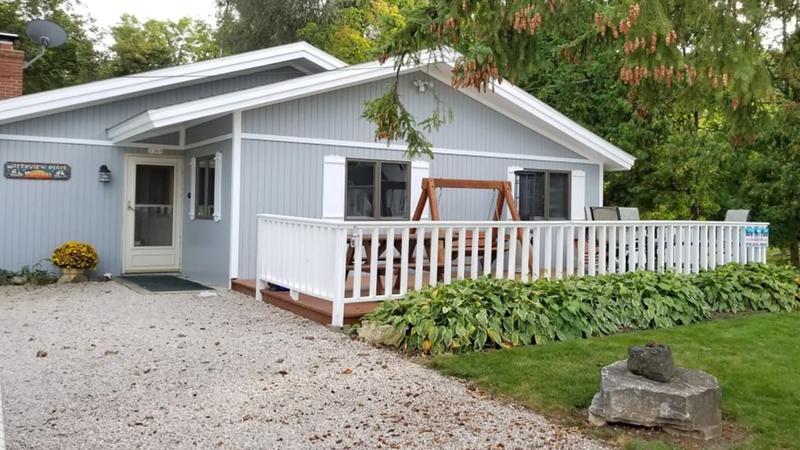 Enjoy the beautiful view of the waters of Green Bay while sitting on the spacious front porch or walk a block into town and enjoy some of the best restaurants in Door County. Its all at your fingertips. This house is literally steps away from Waterfront Park where you can enjoy the beach, rent kayaks or paddle boards, play volleyball or take the kids to the playground. You will also enjoy live music and movie nights during the summer at the new pavilion. Take a short walk down to Sister Bay Marina and enjoy one of the best sunsets you have ever seen, take a boat tour or rent your own private boat or jet skis. Sister Bay is home to many of the most popular restaurants in Door County…Al Johnsons, Wild Tomato, Husbys, Sister Bay Bowl, Grasses... We also have Vacation Condos for additional space right in front of house. Bring your whole group! Please visit our WEBSITE!